Not just because 2011 is the European Year of Volunteering and the International Year of Volunteers +10, Martha, Hans Henrik, Marcus and Peter, four young Scouts from KFUM-Spejderne (or YMCA Scouts) (www.scouts.dk/About_us.aspx), have decided to “Give a Year” to Scouting. “Give a Year” is a well-established initiative in Denmark and allows members to apply for full-time volunteer positions in most of the National Scout Associations in Denmark for one year. Within KFUM-Spejderne, a variety of “Give a Year” jobs are available at both the National Headquarters in Copenhagen and at Houens Odde International Scout Centre in Kolding. The volunteers are fully integrated members of staff and responsibilities are similar to those of their professional paid colleagues. While Martha is in charge of the most recently opened “Scout Centre CPH” in Copenhagen where she helps develop management and programme aspects, Marcus and Peter both work at “Houens Odde” (www.houensodde.dk) as activity coordinator and outdoor manager, respectively. So if you happen to visit either Scout Centre this year, you will most certainly meet them. And Hans Henrik? He completes the communication team at headquarters as web-master and coordinator of KFUM-Spejderne’s youth pages on www.scoutzone.dk. Asked what he saw as principal goal of his volunteer engagement, Hans Henrik mentions several aspects: on one hand, the initiative allowed interested Scouts to get more familiar with the organising, strategic planning and management aspects of the association, while, on the other hand – and perhaps more importantly – the experience as “Give a Year Scout” certainly contributed to the development of valuable personal skills and qualifications. As part of their one-year engagement, the four Scouts decided to go on a “European Study Tour”. Arriving from the United Kingdom, where they had visited The Scout Association and Gilwell Park, the group spent two full days in Geneva, where the aim was to discover the various aspects of structure and working routine at the European Regional Office and the World Scout Bureau’s Central Office. 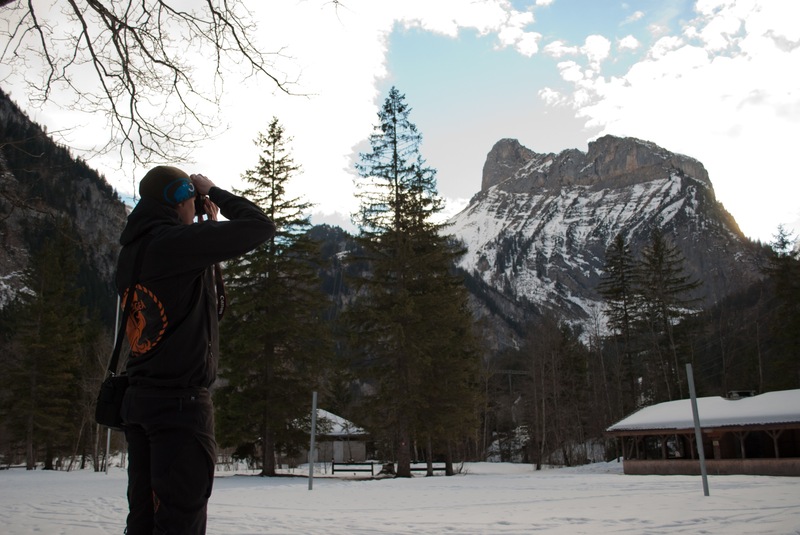 Their final stop was in the Berner Oberland, where they learnt more about the organisational setup as well as programming and management aspects of the Kandersteg International Scout Centre (KISC). Now back home in Denmark, Hans Henrik underlines the valuable experiences and knowledge collected during their visits. They would now be a lot more familiar with the operational side of WOSM (at both Regional and World levels) and better understand what it meant to work as a volunteer at an international Scout Centre (such as Gilwell Park or KISC). For his part, Hans Henrik will adopt a volunteer training method for communication advisors at local and district levels, which he had seen practiced at the headquarters of The Scout Association. Halfway through his volunteer year, Hans Henrik is more than convinced of the benefits of the “Give a Year” concept. It gives young people first hand experience of the functioning of the association. At the same time, the association and its Scout Centres can gain enormously from the enthusiasm, energy and fresh ideas. Many former “Give a Year Scouts” have subsequently been offered short-term paid staff positions or have been engaged in larger projects of their association.